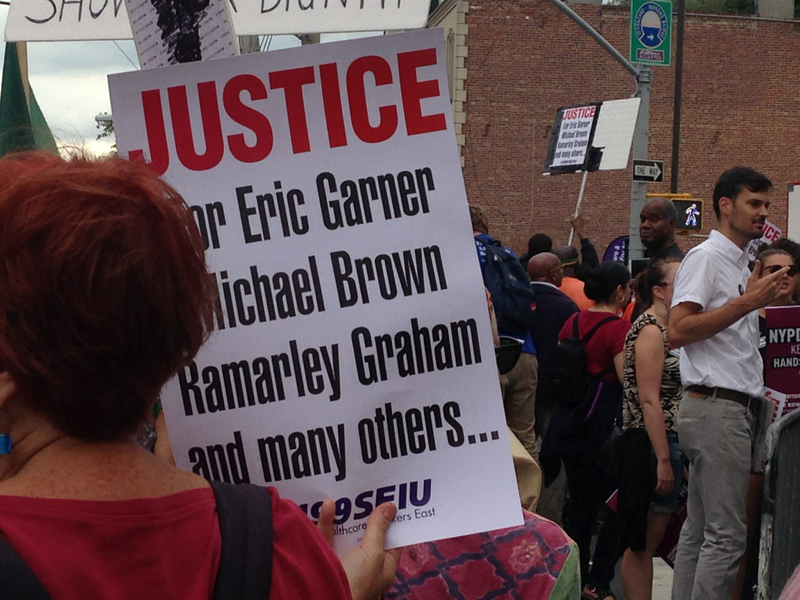 On July 17, 2014 Eric Garner was approached by NYPD officers on a street in Staten Island. The NYPD suspected Garner of selling untaxed cigarettes, not in packs or cartons, known as “loosies”, a violation of the law usually handled by a ticket. This interaction quickly escalated and ended with the death of Mr. Garner at the hands of NYPD officers. Almost all of the interaction between the NYPD and Mr. Garner was recorded on a cell phone video camera. One officer, Daniel Pantaleon, can clearly be seen pressing down on Mr. Garner’s body while several other officers gather around his body. On the recording, you can plainly – and painfully – hear Mr. Garner yelling,“I can’t breathe, I can’t breathe!” The person who recorded that video, Ramsey Orta, was indicted on a previous and unrelated charge. Garner’s death was ruled a homicide by the medical examiner. And, in August, several thousand of us from around NYC marched on Staten Island to protest this death at the hands of police. This is a systemic failure, not a local issue in St. Louis. For the election of Barack Obama has not changed the underlying structures of what Joe Feagin and Sean Elias call “systemic racism,” which “refers to the foundational, large-scale and inescapable hierarchical system of US racial oppression devised and maintained by whites and directed at people of color” (Feagin and Ellis 2013: 936). As Angela Davis has argued, the penitentiary system was a vital pillar for the white supremacy created after the abolition of slavery (2007). Legal scholar Michelle Alexander has called her analysis of the New Jim Crow at work in today’s prison-industrial complex, a “racial caste system” which is “creating and perpetuating a racial hierarchy in the United States” (New Jim Crow: 16). In short, white supremacy and racial hierarchy are not incidental parts of the justice system as we now have it but are constitutive of it. What Ferguson has made visible cannot be simply “fixed” by a review of the grand jury system or other tinkering. White supremacy is the system. Many (white) people are not ready to go there yet. We have to help them. Just as the decision in Ferguson to not indict Darren Wilson in the death of Mike Brown is not an aberration, so too is the decision to not indict Daniel Panteleon in the death of Eric Garner. This is the system of white supremacy at work, and it works with the efficiency of a well-oiled machine. Justice isn’t merely indicting one officer or locking up one cop, it’s changing the whole system. Justice means dismantling the machine of white supremacy so that it no longer churns up black bodies with regularity. Right now, there are many people that I respect who are calling for body cameras on police as a way forward to racial justice, but a video didn’t make a difference for Eric Garner. 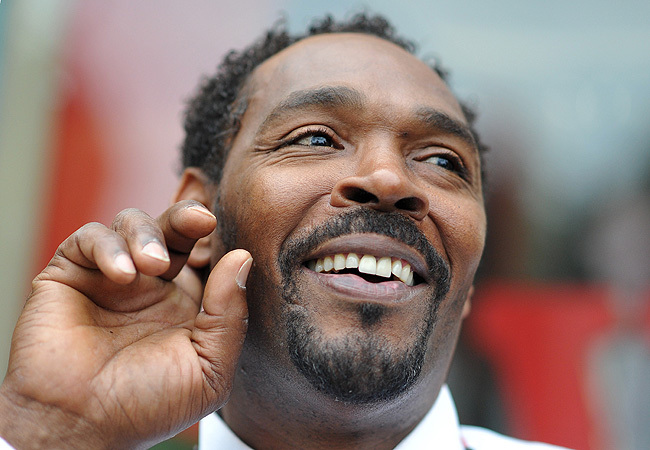 And, a video helped ACQUIT the officers who beat Rodney King nearly to death. So, even as President Obama goes ahead with a request for $263 million of dollars for body cameras for 50,000 police, I’m not persuaded this is a solution. While I get the desire to “do something” in the face of the ongoing injustice, body cameras seem like a techno-solution to systemic racism that needs to be addressed by other means. The fact is, the system of white supremacy keeps churning in a way that protects (white) cops and keeps damaging black bodies. Police officers, security guards, or self-appointed vigilantes extrajudicially killed at least 313 African-Americans in 2012. 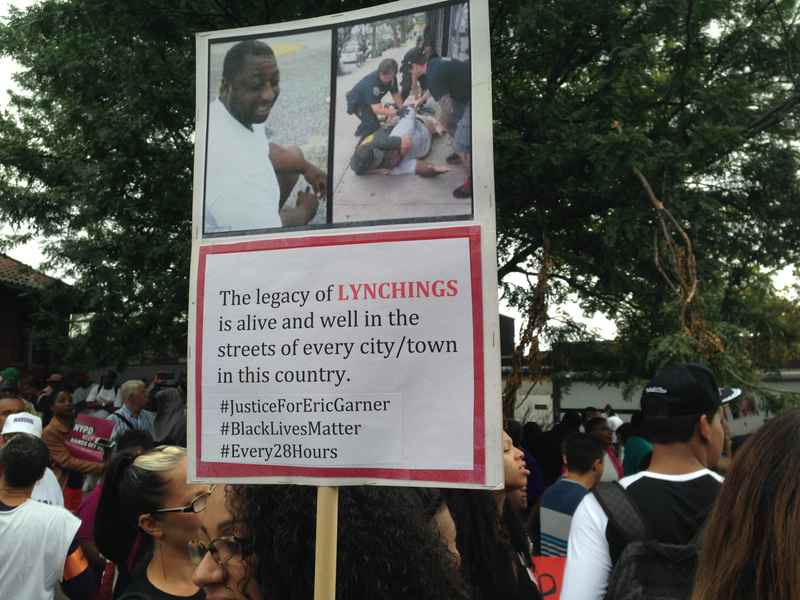 A recent report by grassroots activists estimates that every 28 hours a black man is killed by police. While the report can and should be faulted for not paying enough (or, indeed any) attention to the extrajudicial killings of cisgender and transgender women of color, the report is valuable to the extent that documents killings that the federal government is not. Instead of body cameras on police, I’m more inclined to want to see federal action to collect data on police involved killings. Yet, the research tells me that gathering statistics is not likely to change the system of white supremacy either. As Jamelle Bouie noted in his piece about the research of Jennifer Eberhardt, we know that—among white Americans—there’s a strong cognitive connection between “blackness” and criminality. “The mere presence of a black man can trigger thoughts that he is violent and criminal,” observes Eberhardt and colleagues in a 2004 paper. Basically, the twisty-racial dynamic plays out like this: tell people that blacks are over-represented in prison, and it triggers thoughts of crime, which leads to fear, which causes people to follow their fear and embrace the status quo of unfair, overly punitive punishments, like not indicting NYPD cops for homicide. So, what is to be done to dismantle this system of white supremacy? 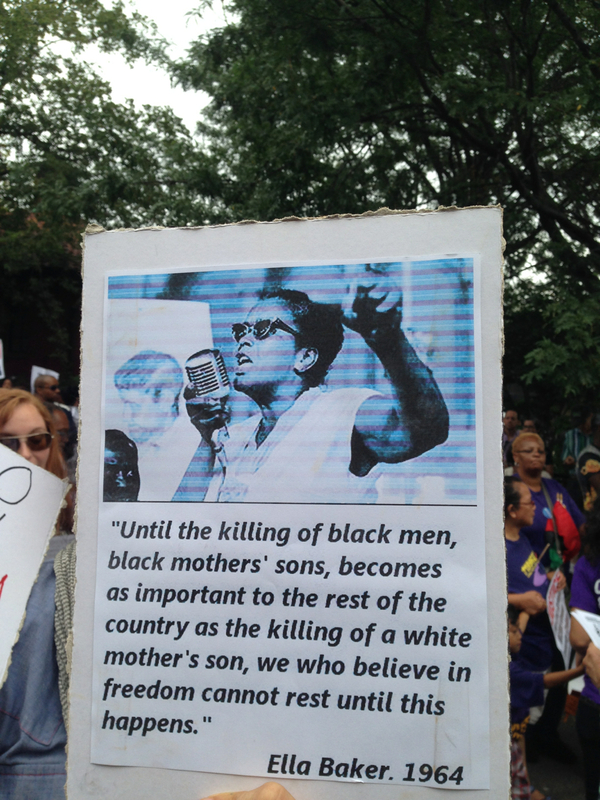 To paraphrase Ella Baker, until the killing of black people is as important to the whole nation as the killing of a white person, we cannot rest.